To hold a highly successful event, it is important to make certain that the right impression is made. Having a highly professional staff team on hand can make help you to make the desired impression. (? )Standard rates cover Manhattan, Brooklyn and Long Island City. Events outside of these locations are subject to additional fee to cover costs of traveling. (? )Our standard rates covers randomly booked staff. Additional 40% applies for our Top Models. (?) 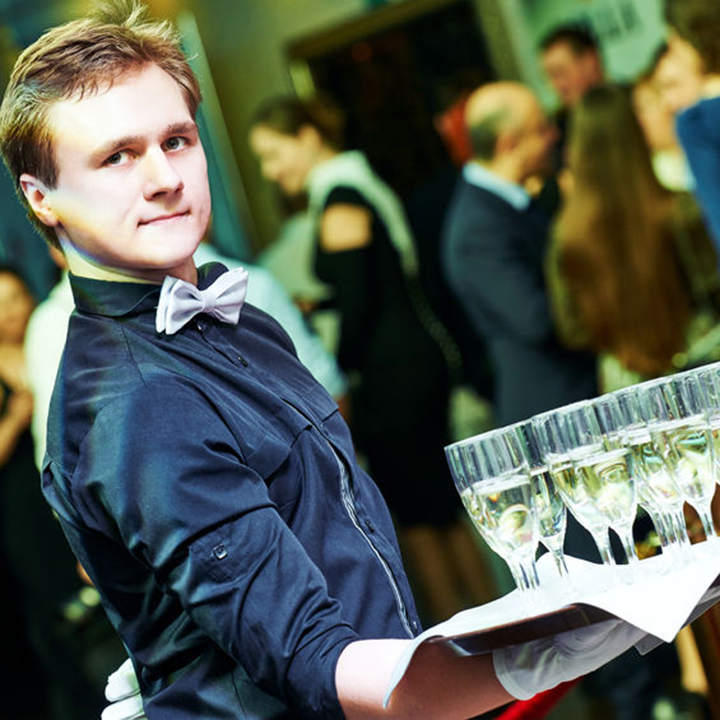 Our Wait Staff also perform as servers, bussers, barbacks and coat-checkers. (?) Will create the opportunity for your brand to be exposed to larger audience in an interactive and effective way. (? )Will be the face of your brand, welcoming prospects and providing light hospitality to maintain your booth and provide brand information. (? )Perfect for marketing displays, product launches and promotion. Our brand ambassadors will help to increase public awareness of your brand by distributing marketing materials and samples. (? )Captain is essential for most events and required for wedding events to coordinat staff during the setup and service. (?) Cook meats, vege and fish on the grill as well as buffet line cooking. (?) Sanitation cap is essential for high-volume events, helping setup and maintaining back-kitchen bussing station for servers. (?) Bathroom attendant is essensional for high-volume events, helping keep restroom in a proper condition: refill towels, wipe floor, keep toilets clean. All rates are subject to change for major holidays, special requests, or events outside of Manhattan, Brooklyn and Long Island City.